1. 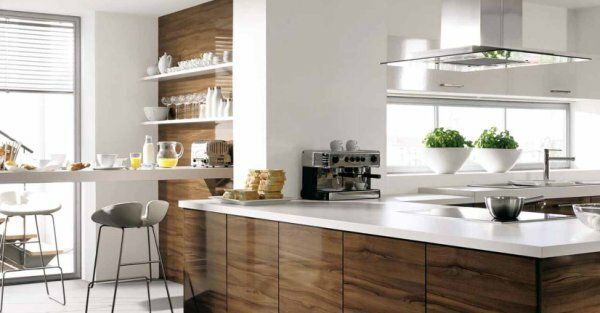 White and Wood Trend – Modern and warm, it’s the best of both worlds. You can play around with textures and materials in your kitchen with cabinets and countertops as seen in the picture below and really create dramatic contrasts! 2. 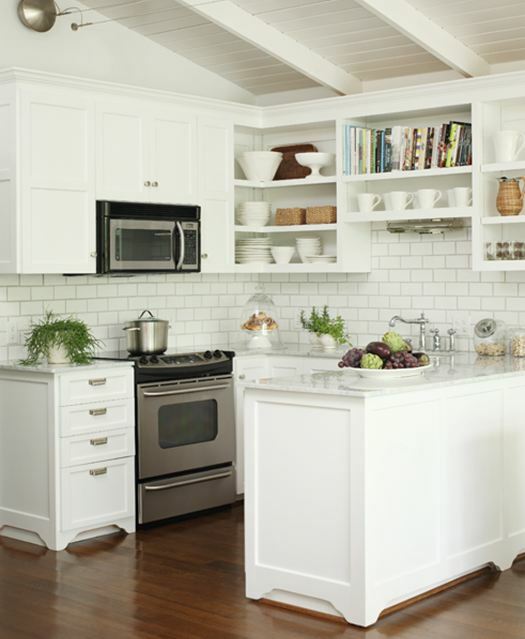 Subway Tile Trend – This white ceramic tile has a traditional look to it that mixes well with contemporary/modern kitchen styles as well. Because of its versatility we don’t see this trend going away anytime soon. 3. 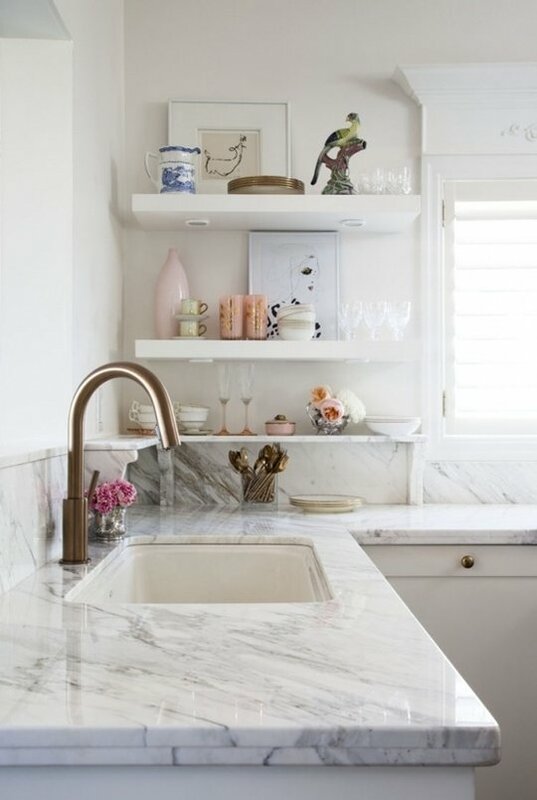 Marble Countertops Trend – Marble, especially white, makes for a strikingly beautiful countertop. 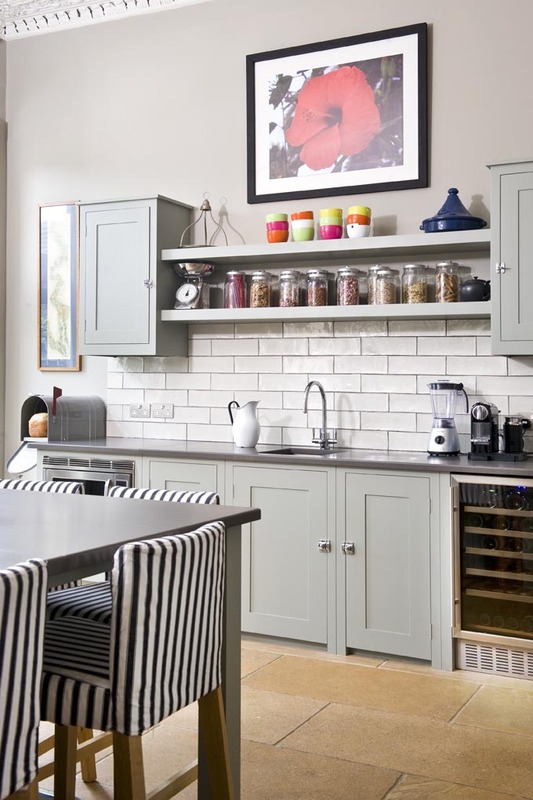 It adds a bit of unexpected visual texture to a kitchen. 4. Two – Tone Cabinets Trend – It seems like mismatching elements are becoming more and more popular in all kinds of design, including kitchens! As you can see in the picture, using a lighter color for the upper cabinets creates a more spacious look and keeps the design interesting. 5. 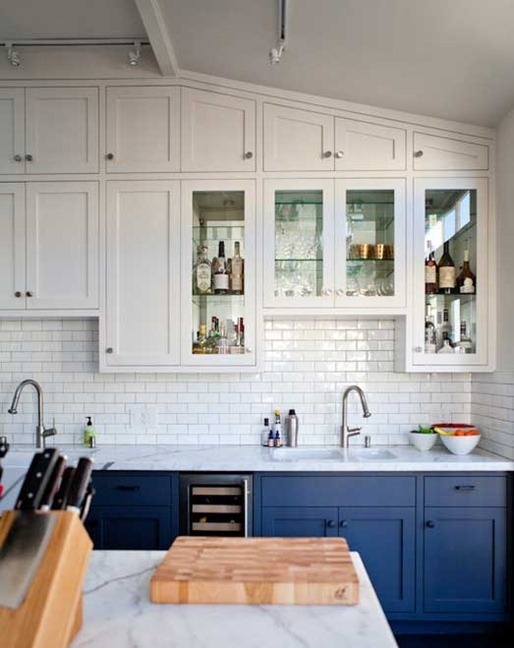 Open Shelving Trend – Mixing cabinets with open shelving or having only open shelving can make a small kitchen appear larger. This clean look is a great way to be creative with displaying your items.